I often close my yoga classes by saying or singing the words, “Om shanti, shanti, shanti. Om peace, peace, peace.” This invocation of peace is a powerful way to both seal a yoga practice and also create a mindset with which to leave the mat. 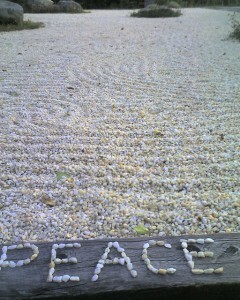 Peace, on so many levels, is worth turning our attention and energy to. 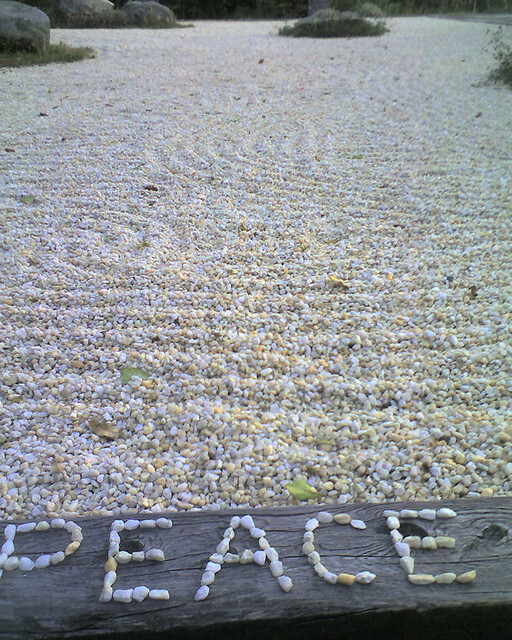 With Remembrance Day a week away, I thought it appropriate that the theme for this week’s Monday meditation be peace. What comes to mind when we think about the word peace? What does it represent? Some days, I am more conscious of inner peace, of nurturing that sense of contentment felt so far deep inside of me but that is also intricately connected to the world at large. Other days, I’m focused on simply keeping the peace within my household! And there are days when I am consumed by the news and the challenge(s) to peace in so many communities. This week, I ask you to meditate on what peace means to you. Physically, emotionally, spiritually, and in relation to the world around you. Let yourself explore what brings you peace, and how you can cultivate more of it. Observe whether there are obstacles to peace in your daily life that you can shift or approach differently. “Within the heart there is a place of peace.